US Airways Dividend Miles and Alaska Airlines Mileage Plan have been the frequent flyer miles wholesalers of choice for some time for those in Australia looking for easy ways to buy miles for award flight redemptions, and Dividend Miles is back with a 100% bonus on shared miles for the next few days. US Airways and American Airlines merger is fully underway in the USA with US Airways having just exited Star Alliance and joining oneworld last week, but retaining some Star Alliance partners in the short term. This gives a unique window of opportunity to use US Airways Dividend miles on a vast range of carriers using their very lucrative award chart. If you have any existing Dividend miles you can leverage to take advantage of the current promotion which can yield miles at 1.1 US cents per mile, then it’s worth considering. 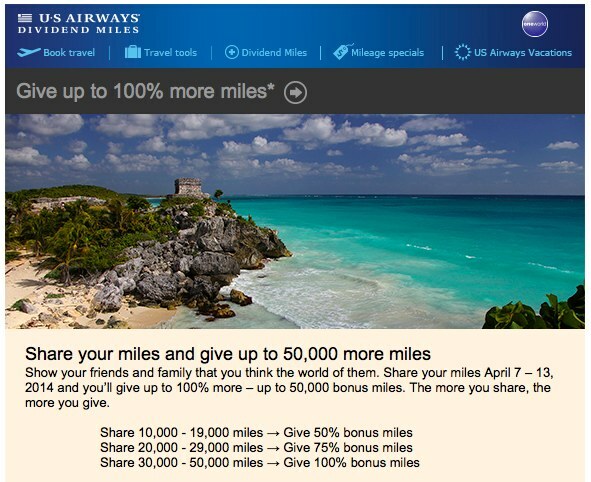 You’ll get a one off 100% bonus for sharing 30,000 to 50,000 miles. 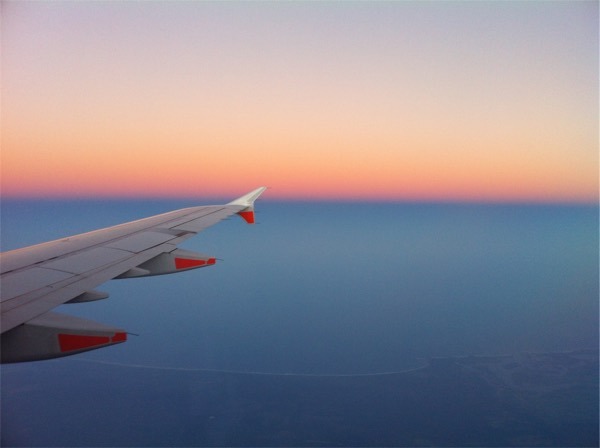 The best overviews of the offer are at View from the Wing and One Mile at a Time, so be sure to have a read of their recent US Airways coverage and this offer to get the most out of this one. It ends on April 13th. However, take advantage of this deal in the knowledge that I don’t see these as miles to keep hold of for longer than, say, 9 to 12 months. The merger of the two airlines will also merge the two frequent flyer programs, and likely cause an award chart rework. It’s hard to say whether this will be a devaluation, but I just don’t see any point in sitting on purchased miles without a future use in mind, even if it’s just a tentative one. Offer ends 13th, not 17th! Same as Jamie.. anyone have any miles they want to share and have shared back? Could do a daisy-chain Jamie if we can get a seed.. I am game but I have cleared my US Airways account down to a massive 250 points. Let’s see if anyone has 50k to start the daisy chain. Thanks Keith. Is a a new member eligible to use the offer? I believe accounts need to be 12 days old, sorry to say, looking into this via the blogs linked above. Another reason why I have been not been too effusive about this deal, kind of usable only for those who have miles already. If you already have accounts, do you think there is enough time to buy some miles in each and then share before the promo ends? Got any miles you would like to team up in sharing ?